Bump. I'd take $170 or best offer for everything on this listing. Getting out of this sport and wanting to get rid of some of my old gear. Prices are negotiable but very reasonable for what they're at currently. Can also work out lowered pricing if items are purchased as a bundle. Guns will come with barrel covers. 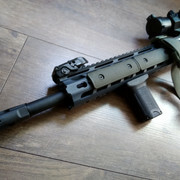 Only fielded twice, will come with the shown red dot, MBUS sights, foregrip and rail covers. 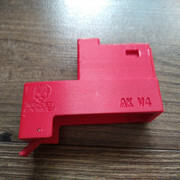 Will also come with an 11.1v LiPo. 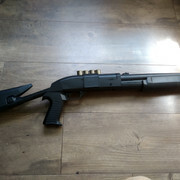 Gun shoots great, around 410 FPS with .20/s definitely the best I've ever used, gun is completely stock and wired to deans. 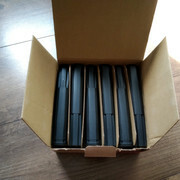 I will package the gun in the original case upon purchase. 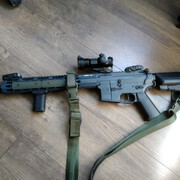 Bought it for CQB and only used it once, it worked well and shot very straight, but just wasn't a fan of the playstyle. Gun shoots around 330 FPS with .25/s so perfect for CQB. 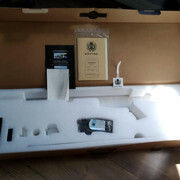 I can package it in the original case with all the paperwork and accessories upon purchase. 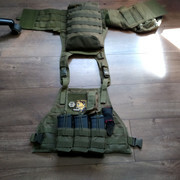 Solid plate carrier with little to no movement with proper tightening. 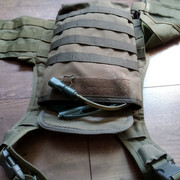 Comes with a couple patches, a MOLLE detachable camelback pouch with camelback, and a 2x3 quick pull Condor mag pouch. Will not come with the magazines. Bought and never fielded, only loaded up one to test the feeding. $60 new, work and look great. Will come in original packaging. 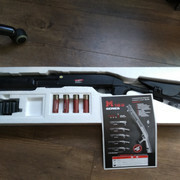 Bought this to go with the KWA magazines, but again were never used. 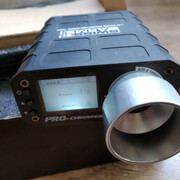 Works great and will come with an adapter that will let you load AK midcaps as well. Great chrono I've had for a while. Still in great condition, and will come with proper metal shroud, charger, and original packaging. Can test for FPS, RPM, and Joules at varying BB weights. Looks like I'm staying local for college. Makes it easy since the parents don't have a public safety office. Plus, all the fields are closer now. 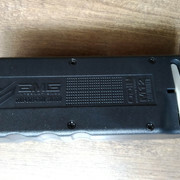 Still looking as of 4/22/2019 updated the listing. 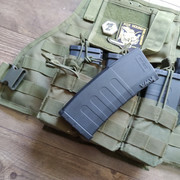 I have a VFC 417 with 2 mags. Super late but while I was at western they required airsoft guns to be stored at the public safety office in the firearm lockers available to students for hunting rifles and such or to be stored off campus.